Awedding wouldn’t be complete without watching the bride and groom cut the cake, and of course waiting to see if they shove cake in eachothers faces. After that, you finally get to the good stuff (the cake!) People will remember your wedding cake, not only what it looked like but how it tasted. As fun as it is to go cake tasting, the important part is to make sure the cake tastes great and lives up to your expectations. Some of the top cake flavors are Red Velvet, Traditional White, Fudge, Stawberry, Lemon, Cheesecake and many more. You can also choose from various fillings such as White Chocolate Mousse, Chocolate Raspberry Ganache, Chocolate Mousse, and Caramel. 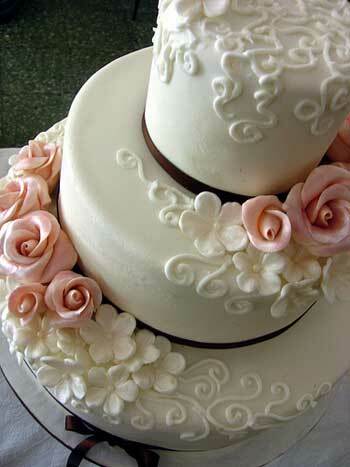 Keep in mind that your cake decorator or bakery may have a whole list of specialty flavors for you to try! Some things to consider are whether you want to have a fondant or butter cream cake, and what flavors you and your groom would like. The cake decorator is going to need to know how many people you expect at your wedding so they can determine how large of a cake you will need. If you need a cake to serve over 100 people it is often recommended to order your wedding cake and additional sheet cakes to cut your cost. 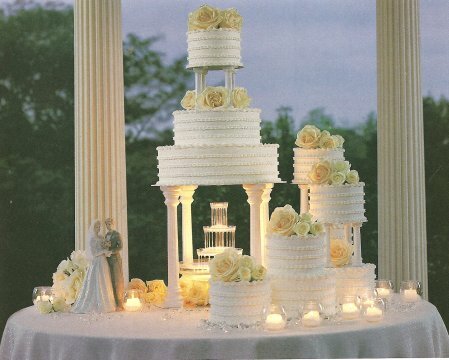 Sheet cakes are often half or even a third of the price of your wedding cake, and is used to feed more of your guests. 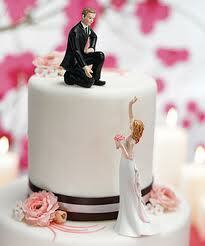 So ask your cake decorator if this option is available if needed. 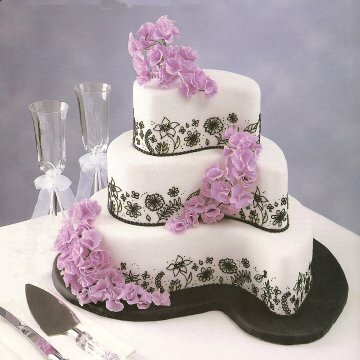 You could have a multi-tiered round or square cake, or have a custom cake made into endless shapes and objects. 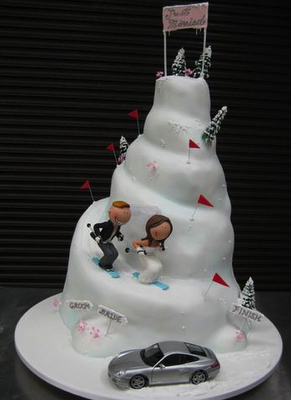 Check out some of these unique wedding cakes. You can incorporate your theme into your cake, such as your wedding colors or monogram. 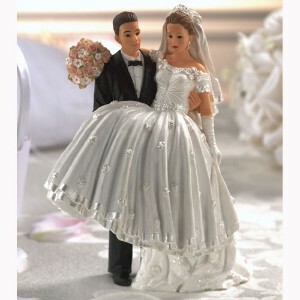 Or personalize your cake with some of the adorable and even hilarious cake toppers like the ones below. The design options of cakes are endless and there are many talented cake decorators out there who specialize in bringing your dream cake to life. Keep it traditional or go way out, it’s all up to you! ← Are You a Spring Bride?